I know you don't mean that. And even if you do, you wouldn't dare repeating it to a Countach. It would bite your head off. only one was ever made, in a shop in Germany near the border with The Netherlands, I know the company that made it, Zastrow was known for their extreme tuning components in the Eigthies. I have recently locate a catalogue from them featuring this Countach and a Pantera they tuned in a similar way. 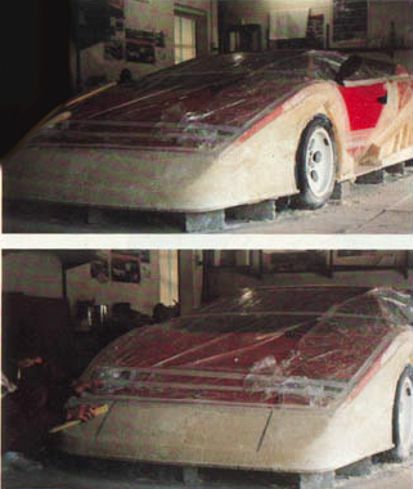 Took 3 weeks to built a second car, but as far as I know they never made a second anyway ... don't know where this car now is, but I have never seen anything other than these photo's which were taken from the Zastrow catalogue. :I can not create it!